Guys… I’ve been a bread making machine these past few weeks since getting my new Kitchen Aid because of that dough hook. Before, I would have to knead my dough by hand and it was the worst thing ever because I have no upper body strength and I would tire out halfway through kneading. But now… now I can let my mixer do the kneading and use my free arms to do important things like eat cake wash dishes. 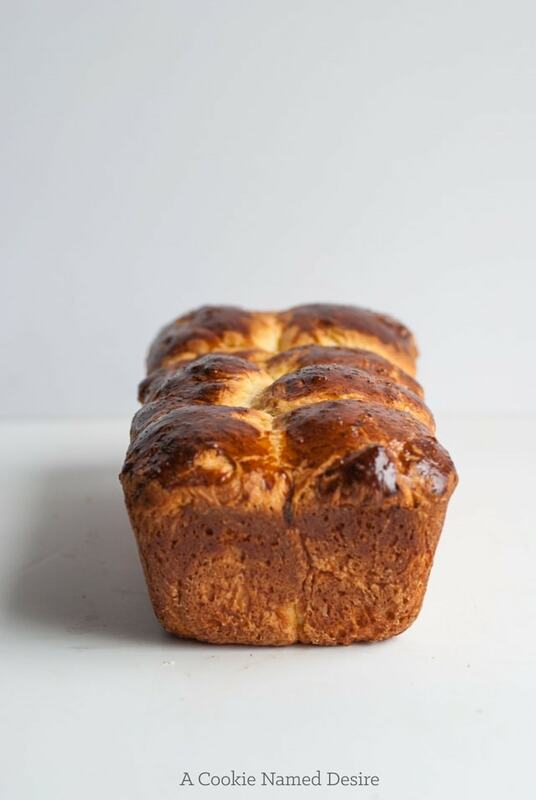 My favorite bread to eat and make is a super buttery French brioche loaf. This loaf is laden with butter and takes bread eating to a whole new level. My favorite way to eat a buttery French brioche loaf is to slice it up, toast it, and spread a nice helping of homemade jam. (If you made the berry wine jam and have some left over, this is the best time to whip it out!) But I’ve been known to make frequent trips to the kitchen and rip off a chunk of bread and eat it plain. This bread is just so addictive, especially fresh out the oven. Now, I usually go for the store-brand butter because, hello!, have you seen butter prices these days?! 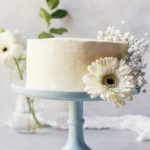 Ever since starting this food blog, I’ve noticed the price up butter go up over $2 in my local store in one year. Almost $5 for a pound of butter is ridiculous. (Side note: when the store closed down last week, I stocked up and got about 10 pounds of butter for only $14, let’s see how long it lasts me!) If you are going to make anything that has butter as one of the shining stars i the recipe, you’ve gotta splurge on the good stuff. Your wallet might not like you, but trust me, it is worth it. 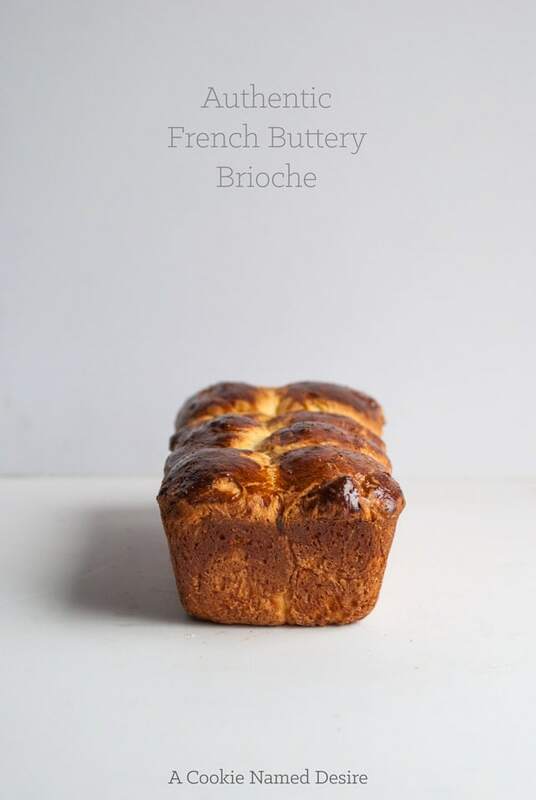 Be sure to work on yo brioche skillz this weekend cause we are gonna make the most ridiculously rich and delicious desserty breakfast with it soon. In a stand mixer, gently mix together the flour, sugar, yeast, and salt together until just combined using the paddle attachment. .
Add in the eggs and milk and keep mixing. As soon as a dough forms, switch the paddle attachment with the dough hook. Mix on medium for about 4 minutes, then turn to low. Turn the dough onto a floured surface and form it into a ball by folding the dough into itself and tucking in the edges. Return to the mixing bowl and over with plastic wrap. Allow it to rise for about an hour in a warm area. Lightly deflate the dough and reform into a ball and allow it to rise again. You can let it rise at room temperature for an hour, or allow it to rise overnight in the refrigerator for the best flavor. (I usually want the bread the same day so I let it rise at room temperature and the flavor is still amazing). Divide the dough equally into 16 balls. Butter two 8x4 loaf pans and line the balls in two rows of four in each pan. Allow it to rise again for about an hour. Preheat the oven while the dough is rising to 375 degrees F.
Lightly brush the loaves with the egg wash and bake for about 25 minutes. Okay, I’m off to find my mixer’s dough hook! I have a strangely large amount of butter in my fridge, too. Ha ha! Do it!! From my stockpiling I have maybe 16 pounds of butter in total in my freezer. It goes by so fast! 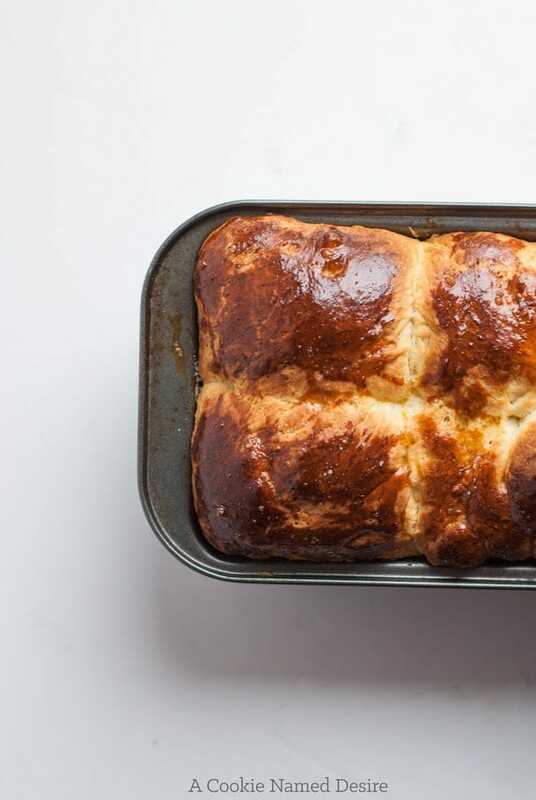 I’ve never made brioche, but you’ve got me convinced I need to try. It looks so golden and buttery and insanely good! Even if it costs an arm and leg for the butter! 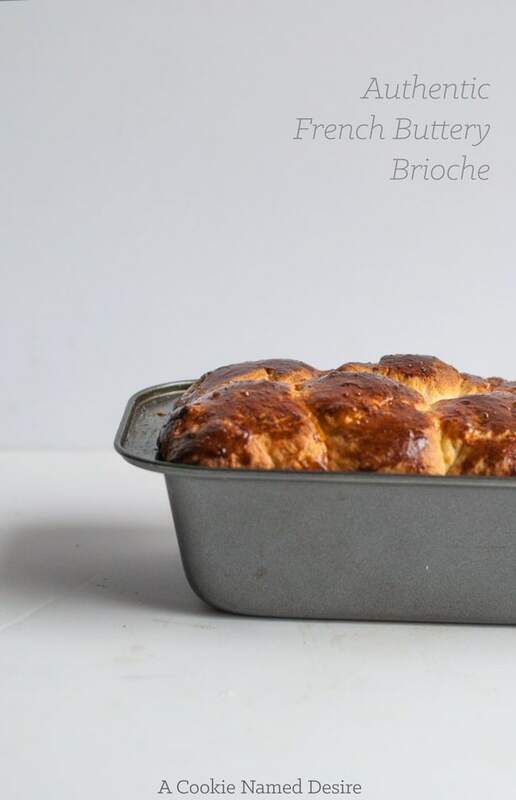 Brioche is so amazing when you make it at home and its so buttery and warm and fresh. Do it!! Great minds think alike Amanda! I just shot photos of brioche buns for veggie burgers I made. Brioche is hands down my favorite bread ever. Is it crazy that I prefer to make bread by hand even though I have a kitchenaid? Something so therapeutic for me. 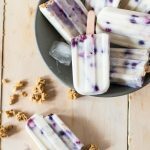 Yours turned out gorgeous! I hope you have some tasty sandwiches, french toast, or bread pudding in this bread’s future! Great minds, indeed! 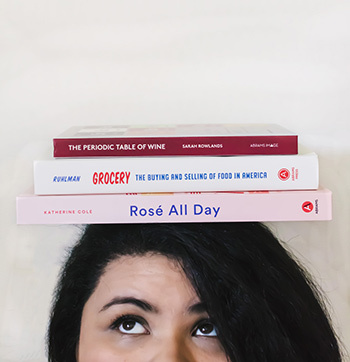 I used to always make my bread by hand and while it was fun, i was never able to get a good method down and my bread would be underkneaded and I’d be all gross and exhausted from trying. I have zero upper body strength haha. 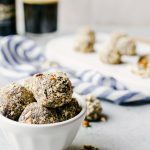 I do have something planned and it is sooooo delicious!! I cant wait to share it!! She’s a beat!!! If only I were eating carbs right now….argh! January! This is a beautiful loaf of bread! I am in awe!